Got a piece of chicken you don’t know how to use? Whatever it is, it’s a candidate for this recipe: I’ve suggested thighs, but you can use any cut of chicken you have available. Briefly marinated in a balsamic-mustard sauce and then baked without any further fuss or work, the chicken turns out tender and juicy after just a few minutes of actual working time. To make a full meal out of this, all you need is some roasted vegetable on the side, and in fact you can even make them right in the same pan. Just be sure to choose fairly hardy vegetables; otherwise they’ll get mushy and unappetizing after an hour of roasting. Chop them up into bite-sized pieces, and layer them in the bottom of the baking pan before you add the chicken and the sauce. That way the vegetables end up infused with flavor from the sauce and the chicken drippings, and better yet, you get an entire dinner ready to go without needing to wash an extra dish. If you have any leftover chicken the next day, this would be wonderful sliced thin and thrown over a salad, since mustard and balsamic are classic vinaigrette ingredients anyway. But if you want leftovers, you’d better cook up a lot of meat: chicken this good is liable to disappear faster than the cook anticipated! In a bowl, combine the mustard, balsamic vinegar, garlic, rosemary, lemon juice, and season to taste with salt and pepper. Slowly pour the olive oil in with the mixture while whisking. 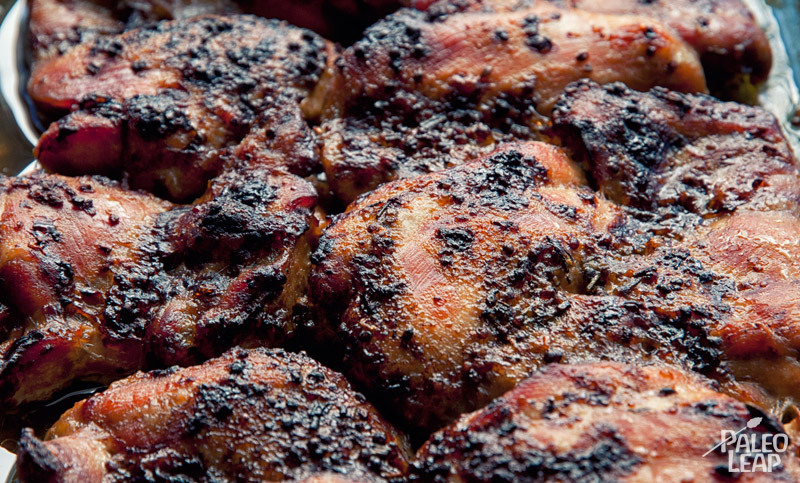 Place the chicken in a marinating container (glass or plastic; don’t use metal) and pour the mustard balsamic marinade on top. 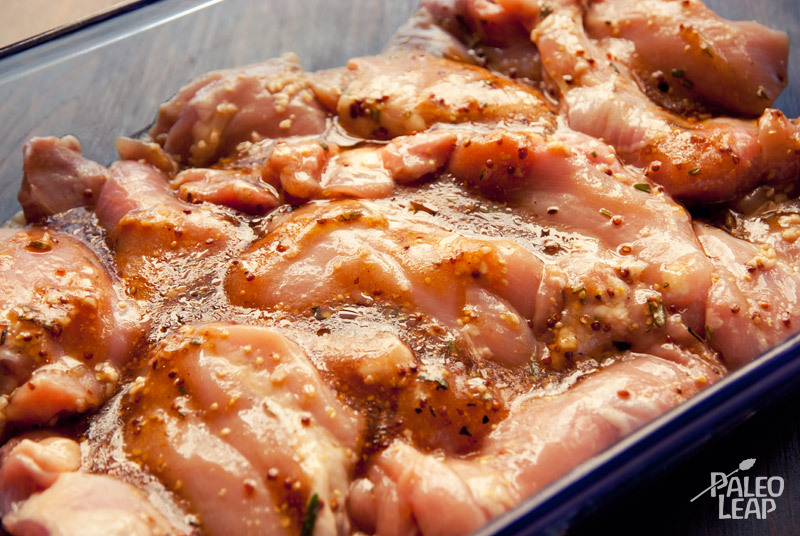 Place in the refrigerator or leave on the counter, covered, and marinate for about 30 minutes. Transfer the chicken to a baking dish and empty the remaining sauce on top. Place in the oven and bake for 1 hour or until the chicken is cooked.